When I was pregnant with Ava all I wanted was hot sauce, specifically Taco Time hot sauce. I was never a huge spicy food fan but boy things have changed since then! Hence my love for sharing my Mexican inspired recipes, like our Chicken Tortilla soup. 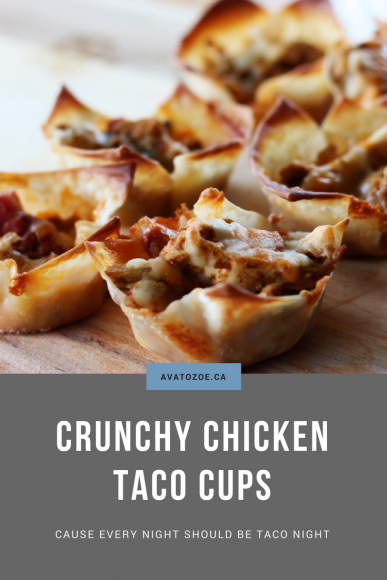 Today I’m sharing our easy crunchy chicken taco cups recipe which was meant to be an appetizer recipe however, they’re soo good you can make a meal out of them. Originally I made these with ground beef but there is something so delicious about chicken taco’s, that I had to make a few adjustments and voila, a recipe perfected! 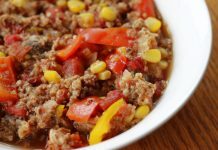 As I mention, it’s meant to be an appetizer but throw in some sides and some extra toppings and you will have a meal even the kids will love. For us with all the things we have going on the food of convenience is a thing and I try to avoid the fast food as much as possible. Of course, it can be hard to say no to the cheeseburger when you’re in a rush but having a few of these bad boys in the freezer has made eating on the fly really easy and Taco Tuesday is always a “thing” in our house. 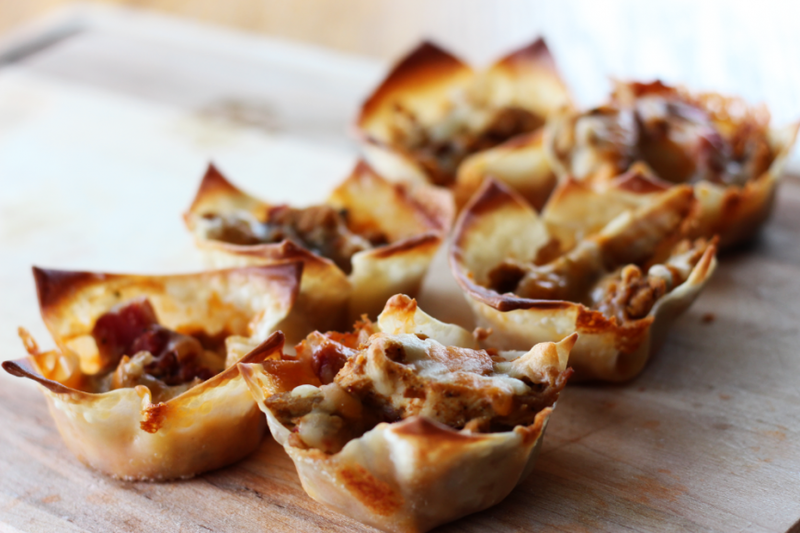 I think one of my favourite things about this recipe is that you opt for different meat, shredded pork taco cups, yup it’s a thing, maybe top it with some mango salsa? Ok and now I’m hungry! 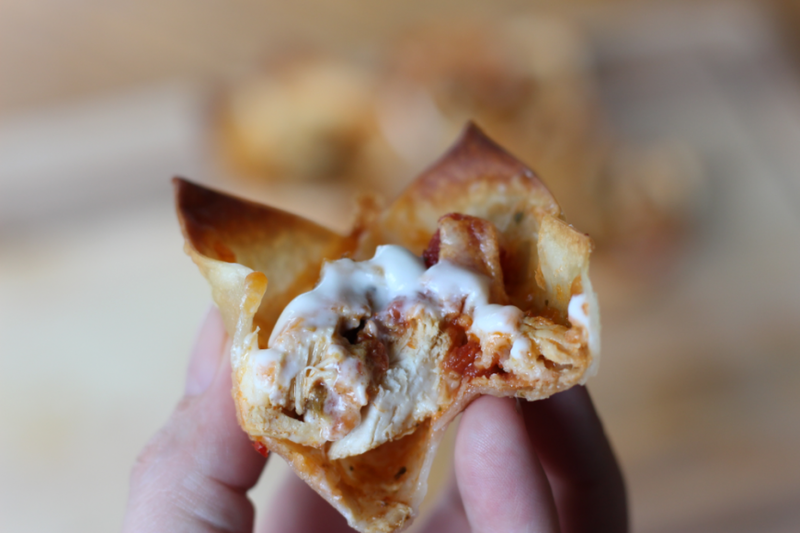 So without further adieu….my new recipe for Crunchy Chicken Taco Cups. Preheat oven to 375 degrees F. Coat a standard size muffin tin with nonstick cooking spray. Prepare cooked Chicken and taco seasoning as per instructions on the seasoning package in a frying pan. Once thoroughly combined, remove from heat, add salsa and stir to combine. 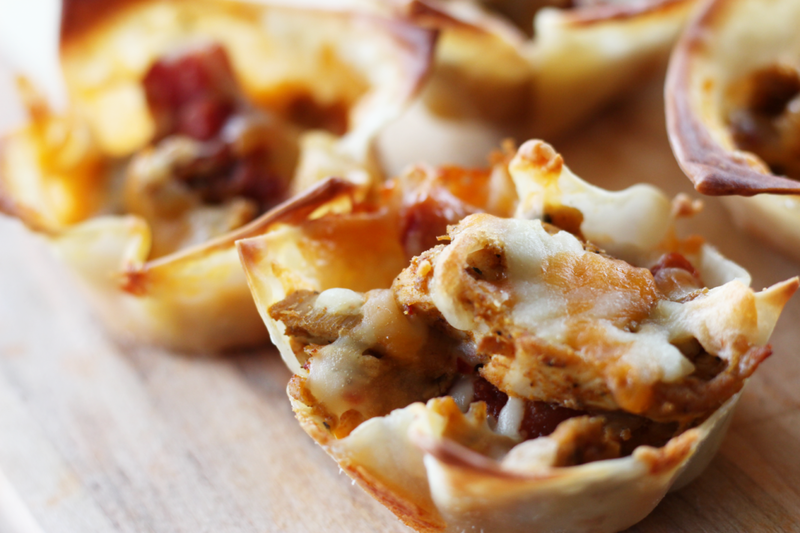 Line each cup of prepared muffin tin with a wonton wrapper. Add 1.5 tablespoons chicken taco mixture. Top with 1 tablespoon of cheese. Press down and add another layer of taco mixture, and a final layer of cheese. Optional: Top with Shredded lettuce and sour cream or any other toppings you like to put on your taco's. You can find all my recipes on Pinterest right HERE if you’re looking for more Mexican influence! Not a fan of spicy? Try our Flatbread recipe, which also makes for an amazing flatbread for a DIY Pizza night! Now we want to know, what is your favourite mexican influenced recipe. 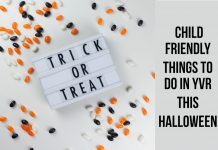 Comment Below!